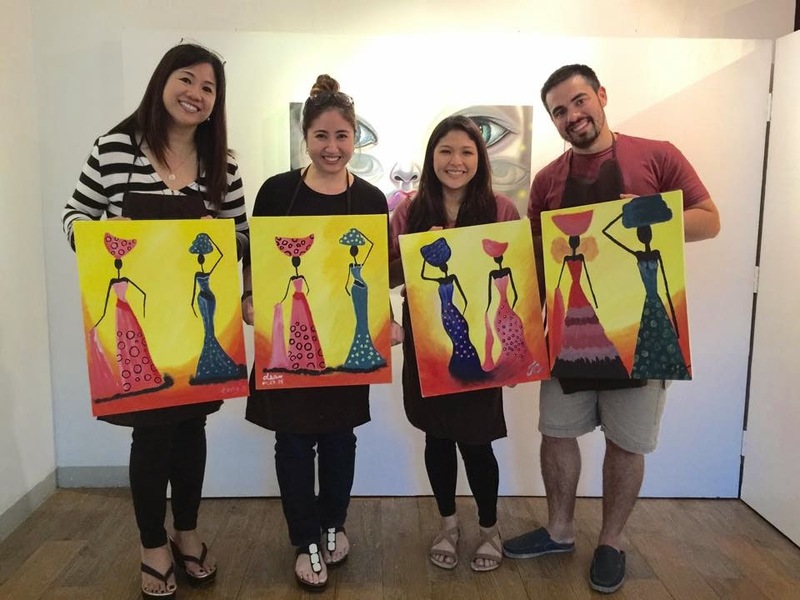 Surprise, surprise...with Cevio's Paint 'n Sip Nights, anyone can paint. My artistry is fairly average. While I can bake, I doubt if I can make creative cupcakes or fondant cakes. My handwriting is so, so. So I'm pleasantly surprised and thankful, I can paint..more or less...please indulge me, look! Our bedroom with our paintings. I did 2 of 3. We need another one to fill the spot. Another Friday night out in Cevio was in order, let's do this! Here's my journey to being the "Most Improved" participant the third time around...sweet! First attempt was the date-night wherein I came with my hubby. Hmmm, I survived! 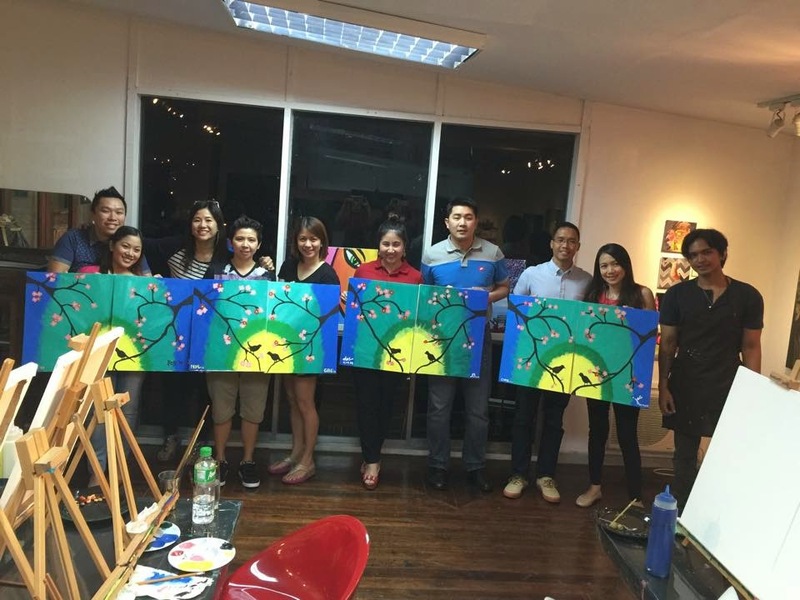 Cevio's Paint 'n Sip Date-nights. Congratulations! Second attempt was for a Ms. Universe-inspired art piece...aigoo! I barely made it! Hah. 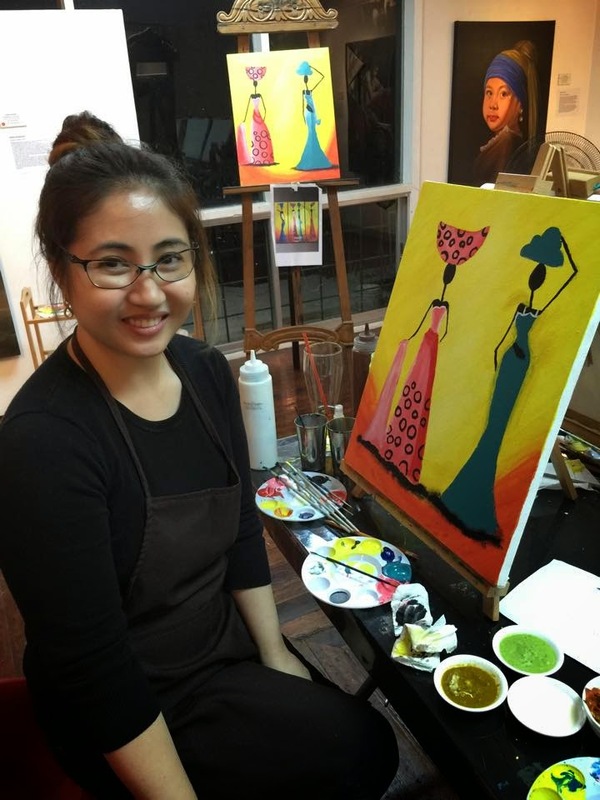 Cevio's Friday Paint 'n Sip nights are held at the Cevio's Art Haus in Kapitolyo, Pasig. 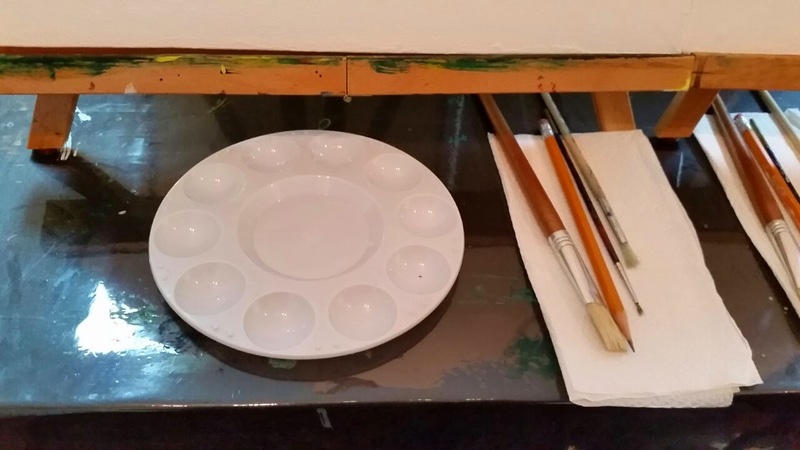 Every session comes with the painting materials (canvas, paints, and paint brushes) and some refreshments. Choice of drinks (Coke or Iced Tea) and featured cocktail food (I love Cheese!) 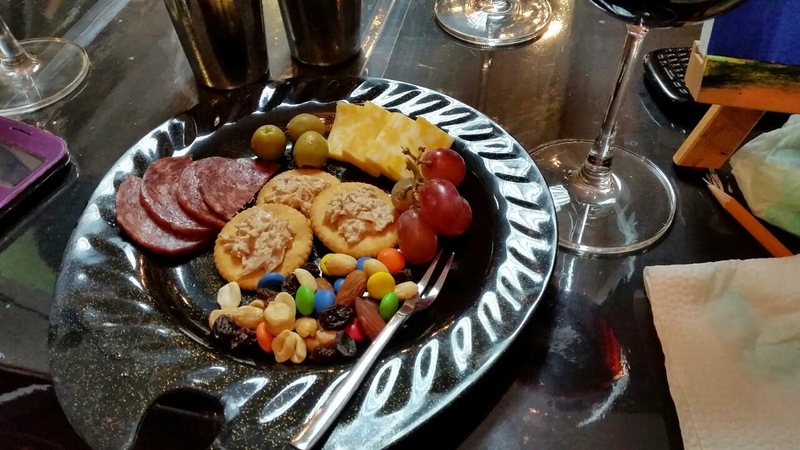 to go with the drinks. Cheers! So for my third attempt...dan, dan, dan, dan! I promise, anyone can paint here. While it can be challenging at times (at least for the artistically challenged me...haha), it's a truly a good way to de-stress (oh really?! if only you're not too competitive...haha!). Relax. Paint 'n sip. Repeat. 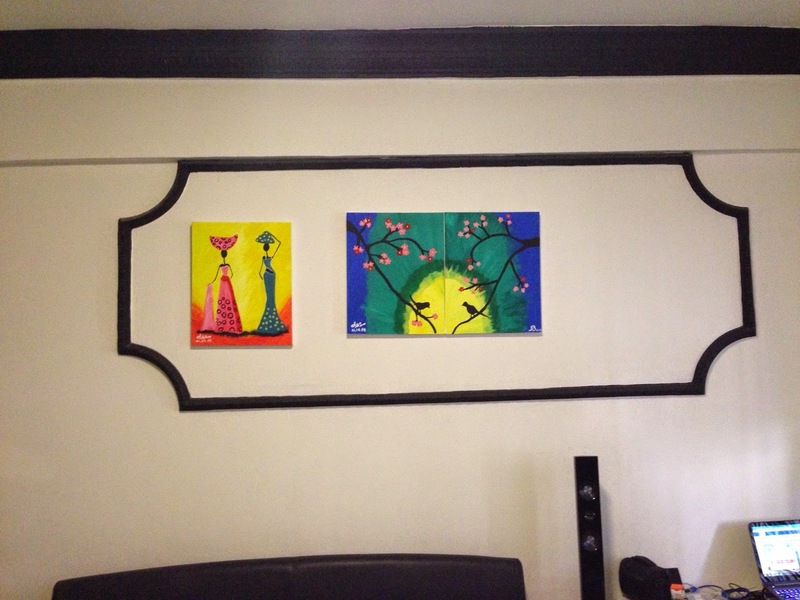 Best of all, you get a painting for a very affordable price with priceless bragging rights to boot. Anyhow, it's said that an artist cannot fail, it is a success just to be one it's the thought that counts. 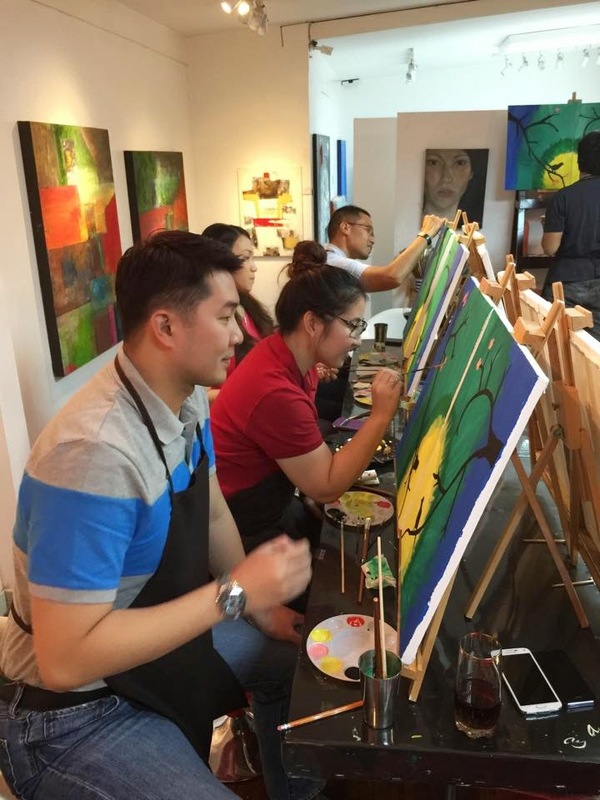 Here, anyone can paint, but only the fearless can be great *thinks Chef Gusteau ^_^ , so schedule a Friday night out, date night, or private/corporate art class in Cevio. 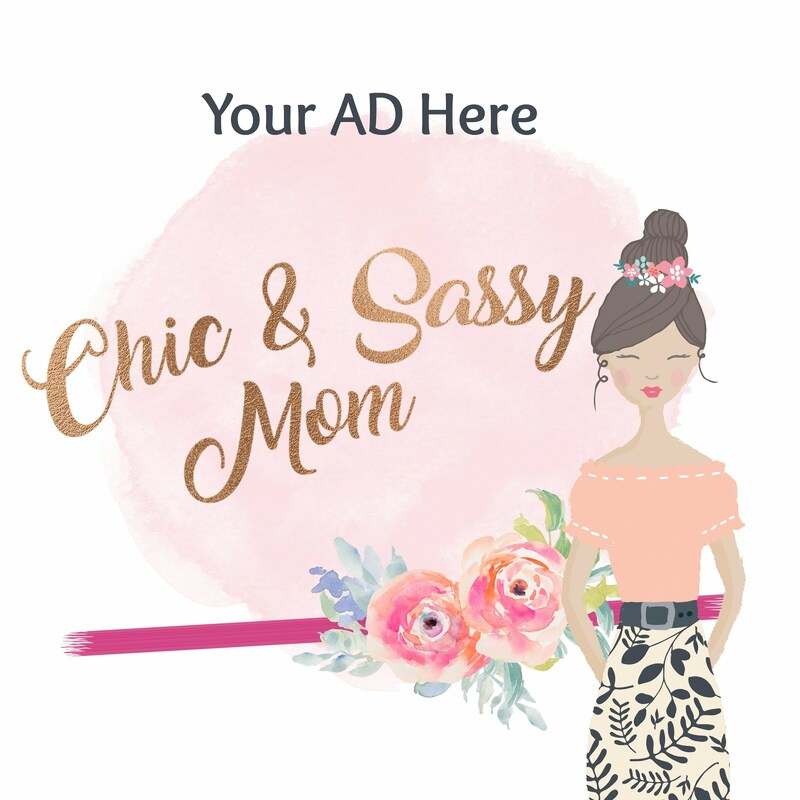 For Summer, they have art class for kids and adults. Super fun, I swear! 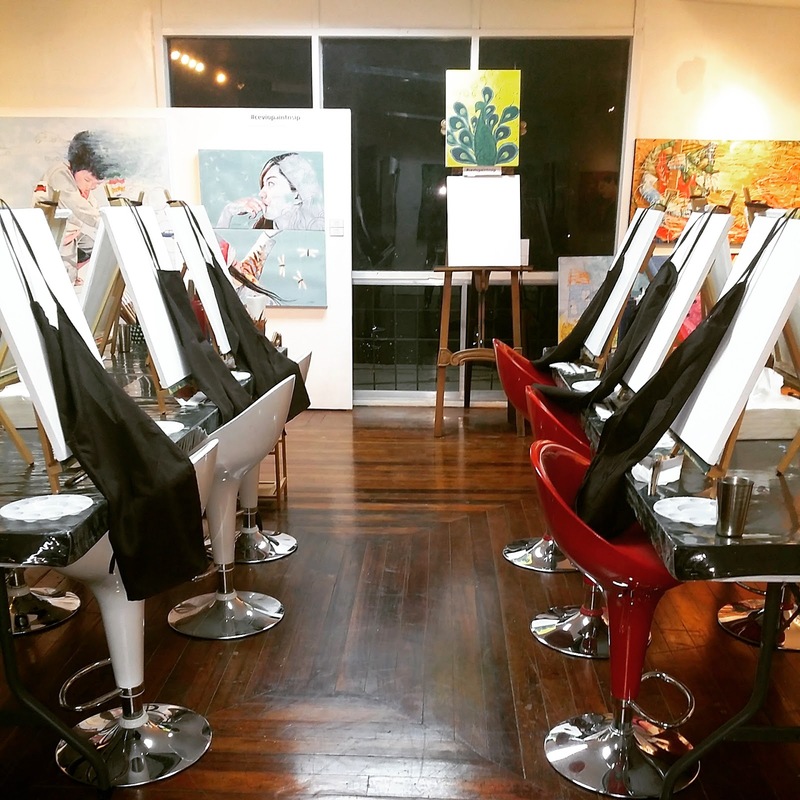 Cevio's Paint 'n Sip Nights is a feature of the Cevio Art Haus to promote the appreciation and love for art and expression of creativity - All in one Haus. 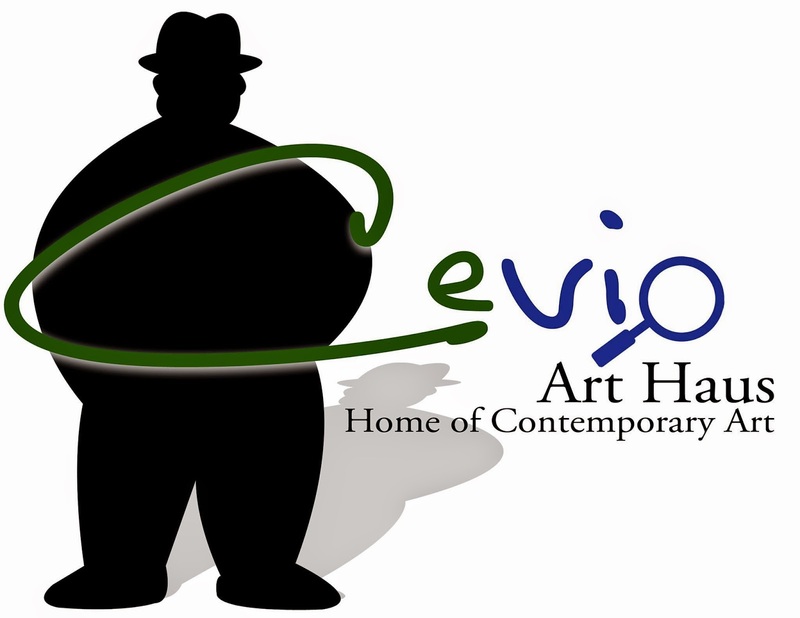 Cevio Art Haus is located in 60 San Isidro St. Barrio Kapitolyo, Pasig. 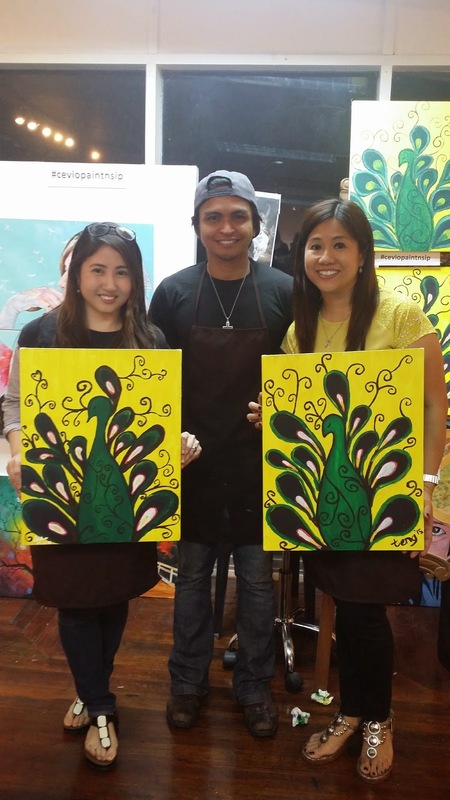 For more details, like Cevio Art Haus and Cevio's Paint 'n Sip Nights in Facebook. 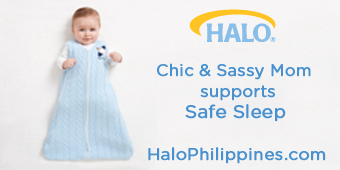 For reservations contact Cevio's at the following numbers: 0905 723 2845 or (02) 656 4931. These pieces are so lovely! I'm terrible at doing art but i have a great appreciation for it. this looks like a good class!